For supper tonight I made this to accompany Thai pork balls and sticky rice and thought I would record it as it was good – the dressing in particular. Mix the dressing adding everything apart from the oil, then slowly add the oil while whisking, and then allow it to sit for 30 minutes. Place all the salad ingredients in a bowl. 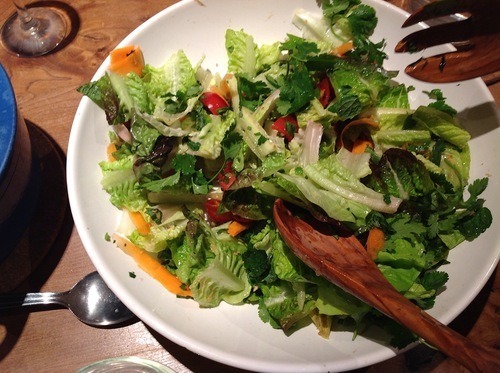 When ready to eat, toss the salad well with the dressing and serve.